6 days into 2015. Well , my NYE was a quiet affair with bf and his friends over Korean bbq, soju and went back home because some of them have to work the next morning and wife in labour. No resolutions for 2015. Just wanna be myself and be happy. Im so excited about my trip to Korea in March ! I was thinking of what to buy for his mum because she sent so many kimchi and side dishes cooked by herself. As you know , Korea manufacture their own products and you don’t know what to buy in SG to bring over to meet your Korean friends/gfs/bfs/their families ? Here is a tip if you are getting gifts / local delicacies for Koreans. 6) Wristlets/bags/accessories from Charles and Keith. *Note..not a good idea to buy shoes. ( Charles and Keith is so popular in Korea but VERY expensive. Almost every Korean lady knows this brand. It’s double the price in Korea. Saw one of my bags was 2x the price in Korea . If you go to ANY Charles and Keith outlet in SG , you can definitely bump into at least 1 Korean girl or heard Korean language. Youngsters love the bags and the elders prefers the shoes ). Eh..im already thinking of what to wear in Korea. LOL. CNY is just around the corner but im thinking about March lol. That is because i need to order some stuff online like fleece stockings , knit and wool skorts to keep warm. I don’t have clothes for Winter/Spring yet. Im going during the transition and change in season. It will be abit cold still. Just got some knee length stockings from H&M at $7 today. And this is how im gonna pair it. These styles are soooo PL ! But i need a thick coat/jacket over to keep warm. I i have similar dress/bottoms/tops from Agneselle and im gonna pair them like that. I LOVE KNEE HIGH SOCKS and finally i can get to wear them. I love heeled boots / walked heels and i have 10 pairs of them. Goes well with or without the knee high socks. Finally they can see day light in March instead of hiding in the shoe boxes on the storeroom racks. Super excited about MARCH trip ! Instead of the capital city, Seoul which i have been to 5 times. I will be travelling to Busan and going to other beautiful parts of S.Korea. Most importantly , im going with Oppa ! I cant wait to meet his Mom , his brother and cute little Chihuahua. I was expecting that he will keep a big dog but it is a female Chihuahua ..he has a soft spot for petite things though. I can’t wait to visit his hometown to know more about his hometown and life back in Korea. His University , his friends and everything. No shopping for me except to stock up my cosmetics only and maybe go for haircut , dye and was thinking of doing the wave perm after my hair grows longer. Just wanna enjoy each other’s company in the beautiful Spring. It will be tiring for him to keep accompanying me everyday and i want to give him some time to catch up and have drinks with his buddies. They only meet up twice a year. So im gonna check out where to hangout myself in Busan, buy my cosmetics/skincare , help his mum in their hotel or do my work in a cafe so that he can have his own time with his friends ( all guys only ) . Im supposed to help his mum to make some Chinese and English signboards/notices/price list. Because there are tourists but language barrier is a problem. On 1st Jan , we went Vivocity for dinner and i walked past Charles and Keith thinking of getting something for his bro’s gf from there. But…i can’t keep my eyes off these 2. So he bought the bag for me and i bought the shoes myself. Because he abit ban-dang..say cannot buy shoes for gf if not will run away and also because i hesitate alot on the bag. I took it and put it back on the shelf , took it and put back onto the shelf again several times because i was thinking whether i need it and if i have something like that and how many times i will use it etc. Think alot lah..that’s my style . The red heels are slightly brighter and not as dull as it is in the pic. Gonna wear them for CNY. Ang ang huat huat hahahah. At night ,we watched movies and Kdrama at home together. I also learnt more about Korea’s history from D.
We learnt about each other’s country’s history. Sometimes when we watch a show or any historical documentaries , we will exchange and talked about our country’s history. 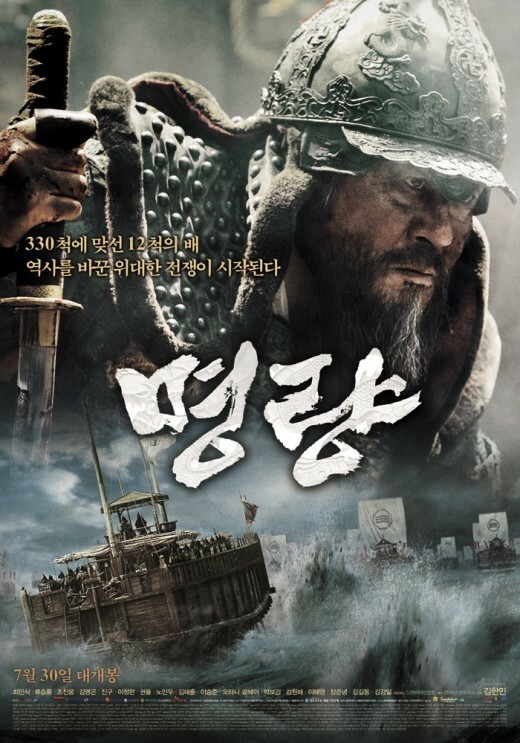 This movie was based on true story and one of Korea’s greatest history. This admiral , Yi Yun Shin was so well-respected until today. Even naval officers said that this was one of the best battles fought in history. He lead 13 Korean naval fleets against 300 odd Japanese fleets and won the battle. 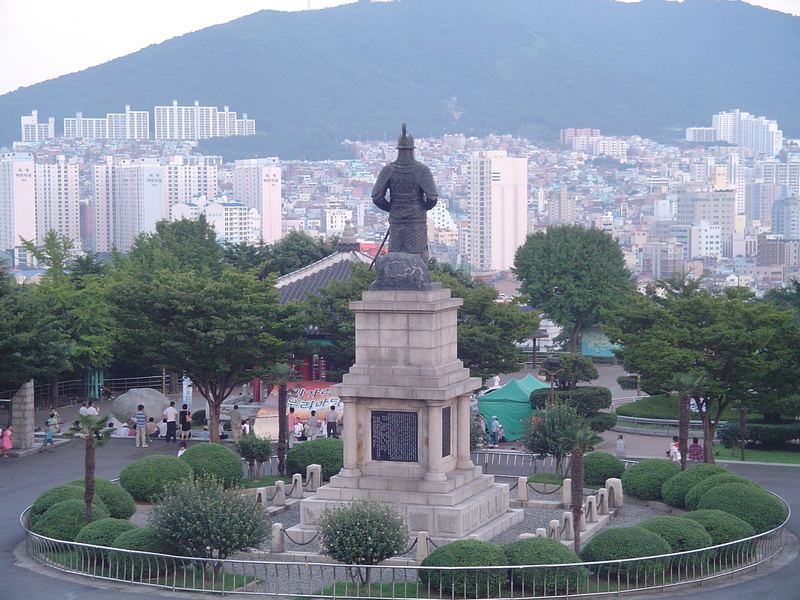 You can see his statue at Busan Tower. So touching..almost cried. Really great movie and no wonder it topped the box office in Korea last summer. Some of my Korean friends don’t like Japan/Japanese because of the history and war. They still refused to buy Japanese made products , food or anything related. This kind of topic quiet sensitive you know..like our local racial issues. Go watch this movie..you will like it. Feeling unwell lately and no selfies or photoshoot. Here’s one to end the blogpost because the skin looks so nice here without any filter even though i was sick and tired. I only put on little bit of Hera’s UV Mist Cushion in N21. Maybe because i put on sheet mask in the day and then sleeping pack/cream at night recently because i drank alcohol. Mask twice a day. LOL OOPS ! Waiting for my hair to grow longer so i can do my perm. KUAI DIAN ZHANG CHANG LEH. CNY Collections will be up soon 🙂 Photoshoots start this week ! This entry was posted in Korean Culture and tagged korea.